So you’ve all seen me write about my other half. He’s my humorous sounding board when I get too metaphorical about the wine I’m drinking. Well, I’ll soon be Mrs. Other Half and we did our engagement photos recently. 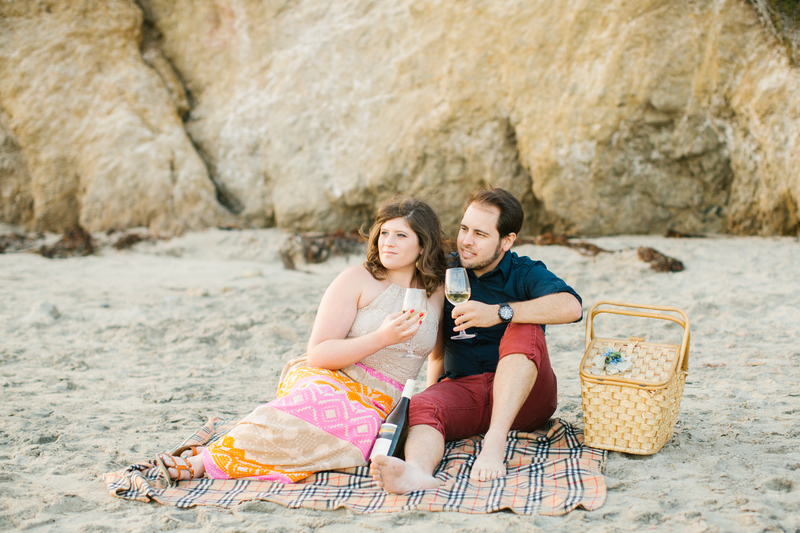 Since wine is a passion we both share, we decided to incorporate it into our shoot. The problem was—and not sure this is no much a problem as a dilemma—we picked a bottle that was too good. 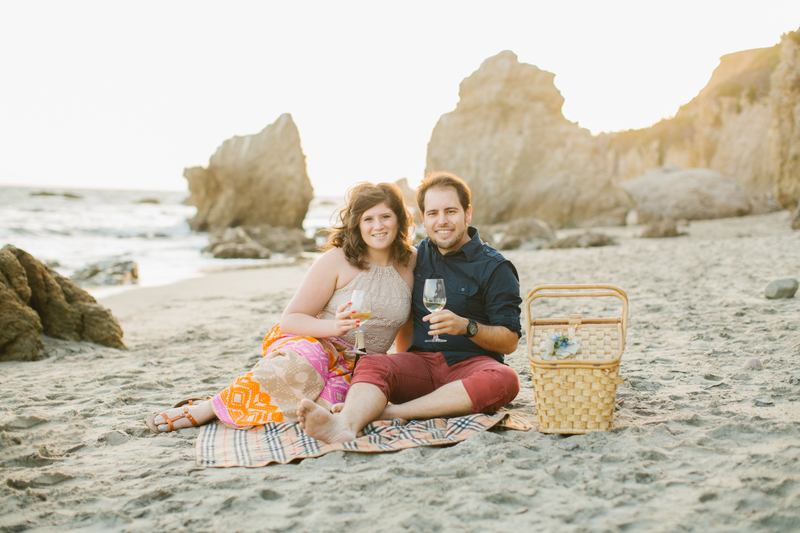 After we poured some of the 2013 Saucelito Canyon Grenache Blanc for the pictures and started sipping, we couldn’t stop. 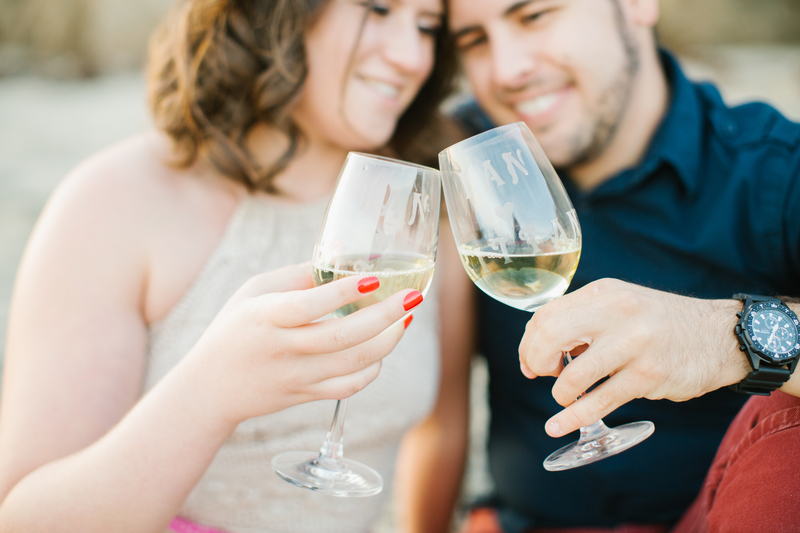 We picked up the crisp white on Valentine’s Day while visiting San Luis Obispo, so it was sentimental. But it also came with a screw top, making it practical. Win, win. The Rhone varietal is fruity, melony, in fact, and zesty. When to drink: Get a B&B by the beach and open up this baby at sunset while sitting on the deck.